A ‘prolific’ Leamington street beggar has been given a court order this week to stop him asking people for money. 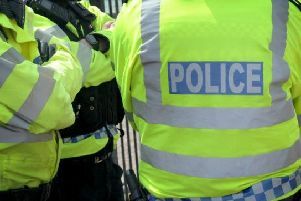 David White, known locally as ‘Ozzy’, was given the criminal behaviour order (CBO) by Leamington Magistrates Court after Leamington Safer Neighbourhood Team applied for it. It will last until June 30, 2019. It prevents White from asking the public for money in Leamington, placing himself in such a way as to encourage people to give him money in Leamington, including sitting on the pavement and in shop doorways, and placing hats, cups, or other items on the ground that may encourage people to give him money in Leamington.